Facials and skin care…so many options but find out why medical grade is so much more. The words are simple and everyone knows what you are talking about when you mention having a “facial” or starting a new skin care product but do you know there can be a huge difference between medical grade facials and spa or “regular “ facials. To make the analogy a little simple is the comparison of when you have a sinus infection. There are over the counter medications that will help lessen the symptoms of your sinus infection but nothing will treat it like an antibiotic that is medical and requires a prescription. 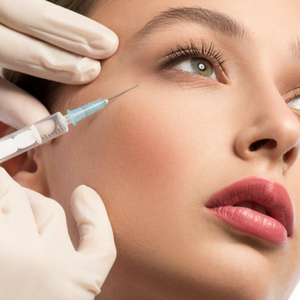 So when we are treating your skin during your facials here at Redefine Beauty Aesthetics, we can use medical grade to treat the issues going on with your skin. For example if you have redness, acne, aging lines and brown spots it will require several different products and treatments to address all those issues individually and as a whole. 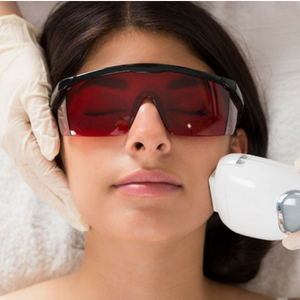 Where spa grade may help your redness it will most likely require medical grade products as well as procedures such as laser and/or peels to help bring your skin back to a more healthy condition. Another huge difference is the science behind the medical grade products we use and the research and testing put into the products. Medical grade products are designed with advanced delivery systems and do not just sit on the surface. Sitting on the surface is not necessarily a bad thing but if you need ingredients deeper into the skin to improve or correct a problem that is from cause that is deeper in the skin the superficial product will never treat it effectively. I say to our patients…take a selfie of the products you are using and in 3 months you should be seeing an improvement. We take before photos of all our patients and recheck them in 6-8 weeks depending on the treatments and skin care. So now that you see there is a clear difference in products used with us versus our competitors call for you facial like none other here at Redefine Beauty Aesthetics!